Children and parents compete in the lead line race. 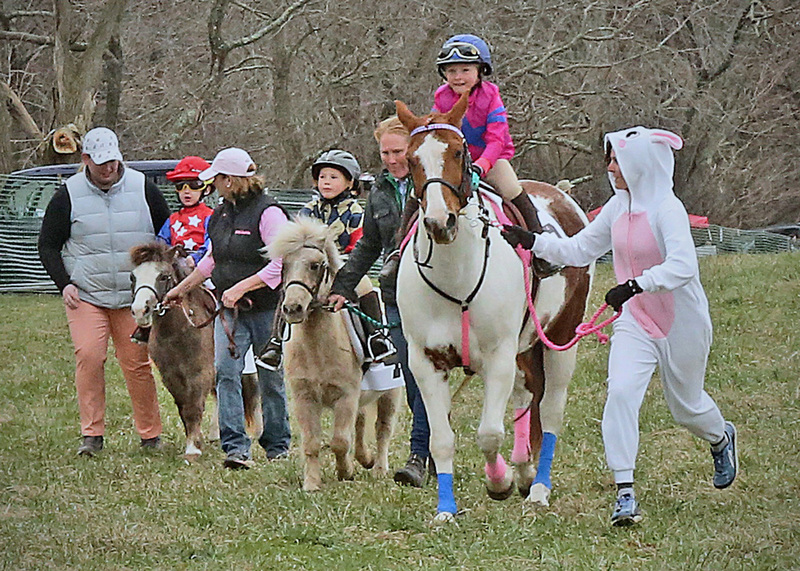 The clock is ticking down to the exciting running of the 77th Brandywine Hills Point-to-Point on Sunday, April 7, at the Myrick Conservation Center in Pocopson Township. This annual event is an outstanding opportunity to see steeplechase racing at its finest over a 318-acre property overlooking the stunning scenery of southern Chester County, including as many as 17 jumps. 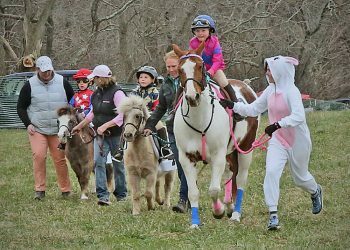 But Brandywine Hills is more than mere horse racing, because in addition to the chance to watch the horses and riders traverse the course, there is a multitude of activities for children, making it a premier family event in springtime Chester County. The gates open at 11 a.m., and the races begin at noon along with a host of children’s events. There will be Pennies in the Hay, during which the kids are invited to scour a stack of hay for coins. Up in the plateau behind the children will have the opportunity to express their creativity with mural painting. For the kids who are eager to memorialize their visit to the point-to-point there is a photo booth where they and their friends can take shots with their phones or cameras. Also included in the offerings are Lenape Lore and Ponyless Steeplechase. Perhaps the most popular youth events are the lead line and stick pony races. Even children as young as 3 years old are invited to race to a finish line riding their own stick ponies. There are two of these: one for kids 3 to 5 years old, and the second one for those 6 to 8. For the young ones who are eager to mount a steed, the lead line pony races begin at 1:15 p.m. The children mount their ponies, and the parents lead them along a short course for the prize. Shortly after the youth races comes the event that adults and children alike adore: the Radnor Hunt foxhound parade. They and their master come waggling over the hill and greet the crowd, scurrying around and barking to attract attention. They aren’t there to touch, but they are delighted to be photographed. Children who attend the races will also be pleased to see small, medium and large pony races, ridden by young people with remarkable finesse and great speed. So popular are the pony races that they attract a team of young people from Philadelphia’s Work to Ride program, whose horses and ponies are stabled and cared for in Fairmount Park. Visitors are invited to purchase $10 raffle tickets for chances on prizes that range from artwork and restaurant meals to tickets for other horse events including Devon Horse Show box seats. 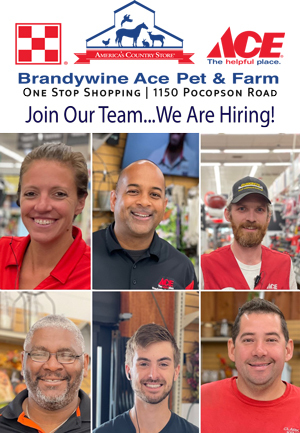 The Brandywine Hills Point to Point races are sponsored by the Radnor Hunt. Food is available on-site for purchase.